The handset maker company OnePlus has announced a change in the date of the OnePlus 6T smartphone event held in New York on October 30. Now the curtain will open on October 29, one day before OnePlus 6T. Let Apple also launch many of its products during the October 30 event held in New York. 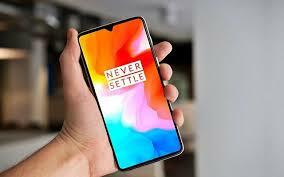 On October 8, OnePlus had announced that the OnePlus 6T to 30 October will be screened. But on Thursday, October 18, Apple started sending the media invoice to the 30th October event organized on October. Apple iPad and Apple Mac models are expected to be launched during the event. OnePlus CEO Pete Lau has informed about the change in the launch date of OnePlus 6T on the Forum Post. There is no confrontation in the event behind the changes in the OnePlus launch event. This is believed to be the reason. The OnePlus 6T will be launched at 11 o'clock on October 29. There is currently no change in the date of the launch of OnePlus 6T in India. This means that the curtain will be raised in India from OnePlus 6T to 30 October at 8:30 PM. According to the old report, OnePlus 6T will have a 6.4-inch optical Amolade Full-HD + display and Qualcomm Snapdragon 845 processor. Expect to provide storage up to 256 GB with 6 GB and 8 GB RAM. The smartphone will have a 3700 mAh battery, which is bigger than the OnePlus 6 3300 MAH battery. Also, OnePlus 6T's Out of Box is expected to run on Android 9.0. The company has already confirmed that OnePlus 6T will have an in-display fingerprint sensor. The company named it Screen Unlock. This time the 3.5mm headphone jack will replace the USB Type-C port.